April symbolizes a progressive time for cancer researchers around the world. From April 1-5, over 20,000 cancer scientists will gather in Washington, D.C., to attend the American Association for Cancer Research (AACR) 2017 Annual Meeting. This conference provides an opportunity for researchers to share the latest innovations in cancer science and medicine. This year’s Annual Meeting not only marks the 110th anniversary of the AACR, but it also highlights the organization’s origins in our nation’s capital. Given the gravity of the political era our country is entering, it is imperative to discuss the urgency for action and science advocacy at this year’s Annual Meeting. As bench scientists and clinicians, it may seem daunting to jump into the political realm – a seemingly foreign world of alternatively defined facts. I myself have only recently engaged in advocacy as a trainee, but I quickly learned how meaningful our individual actions can be in contributing to the collective good for our communities. Science policy in cancer research has made great strides with outcomes including the Cancer Moonshot Initiative and the 21st Century Cures Act. This growing enterprise demonstrates how researchers who know the language of science can contribute to evidence-based policies to improve national health. Still, many young investigators are unaware of the breadth of science policy careers available. 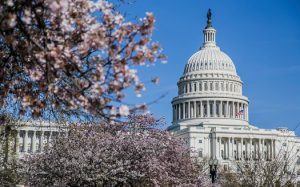 To illuminate this underappreciated field, the AACR Associate Member Council will be hosting a session to introduce cancer researchers to renowned experts in science policy and advocacy. The session will cover exciting careers and ways to get involved in policy from the industry, government, and non-profit organization sectors. Chairing the “Careers in Science Policy and Advocacy” session is AMC Past Chairperson, Mark Stewart, PhD, who has been active in public policy for many years. “My day job as a science policy analyst at Friends of Cancer Research involves working with a diverse group of stakeholders, such as industry, FDA, and patients, to help streamline regulatory processes and bring safe and effective drugs to patients as quickly as possible,” Stewart says. With the recent $5.8 billion proposed cut to the National Institutes of Health in the President’s 2018 budget, it is a critical time to unite our voices as biomedical researchers. Taking time to meet with policymakers in D.C. is an opportune way to share the tremendous advances our community continues to make, from bench to bedside. Even clinicians and scientists with non-policy careers can get involved. Bianca Islam, an MD/PhD candidate at the Medical College of Georgia, will be attending her fourth AACR Annual Meeting this year. She was among 15 young cancer investigators who participated in the AACR Early-career Hill Day in February 2017. Beyond the Annual Meeting, cancer researchers can participate and email Congressional Representatives and Senators to help advocate for robust, sustained, and predictable funding increases for the National Institutes of Health year round. For those looking for more ways to get involved at the Annual Meeting, civic engagement is a great platform to connect with the people we aim to serve. This allows us to share the value of society’s investment in biomedical research. On Saturday, April 1, the AACR will be hosting a Public Forum: Progress and Promise Against Cancer. This free community event, open to all, will feature renowned cancer experts who will discuss the impact future healthcare policies will have on cancer patients and the general public. The future of cancer discovery relies on training the next generation of physicians and scientists. Andreana Holowatyj, doctoral candidate at the Wayne State University, will be a panelist alongside world experts during another session, titled “The Road to Cancer Survivorship: Discover, Predict, Prevent, and Treat.” This forum on Tuesday, April 4, serves as an open dialogue with the policymakers and their staff members to discuss the future of cancer research related to clinical trials, health care disparities, and the support of biomedical research training programs. This event is hosted by the AACR Office of Science Policy and Government Affairs, a division of the AACR that is based in Washington and champions the societal value of investing in cancer research. “We cultivate and strengthen relationships on Capitol Hill and in the medical research advocacy community to build support for the National Institutes of Health (NIH) and National Cancer Institute (NCI). Through our work, we underscore the value of continued investment for medical research in our nation’s fight against cancer,” explains James Ingram II, the AACR’s assistant director of government relations and advocacy. The Annual Meeting will be a great place to connect with people committed to our shared mission of progress in the fight against cancer. Regardless of your interests or level of expertise, there are always opportunities to get involved. The future of cancer research and the lives of cancer patients depend on the persistence of the scientific community at large. Engaging in public policy and advocacy helps ensure the resources are available to execute these endeavors. For additional information on how to get involved or if you have questions about how to reach out to your members of Congress, please send an e-mail or visit the AACR Legislative Action Center Website. 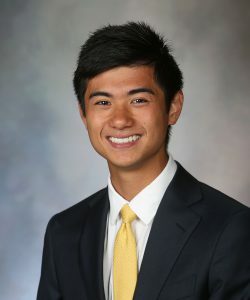 Kekoa Taparra, PhD, is a medical student at the Mayo Clinic School of Medicine in Rochester, Minnesota. He completed his PhD in the Tran Lab at the Johns Hopkins University School of Medicine Cellular and Molecular Medicine program. His current work focuses on reducing cardiac toxicity in radiation therapy for Hodgkin Lymphoma patients as well as health care disparities in radiation perception. Taparra is the chair of the Communications Committee for the American Association for Cancer Research Associate Member Council. ← AACR to Host Community Event in Washington, D.C.